These Notes spring from a recording session we did last week in the basement studio of American Zoetrope where The Kitchen Sisters SF HQ is located. We were rehearsing the story we’re presenting on the Radiotopia Live 6-city East Coast tour that starts on Monday. Lawrence Ferlinghetti, the legendary poet and proprietor of City Lights Bookstore, was in the studio when we arrived. For over a decade now, Lawrence, who just turned 99, has come into the studio almost every week with our sound engineer, Jim McKee, to record hundreds of his poems. They thought their work was complete, but about a week ago Lawrence realized there was one poem from his book A Coney Island of the Mind that he had missed. “I Am Waiting.” Lawrence stayed for our rehearsal, gave us his seal of approval and asked if he could jump on the bus as we roll from Atlanta to Boston. There’s a lot of people’s projects in these Notes and a lot of news from The Kitchen Sisters. But at this moment, the most important item to us, is Lawrence’s poem. Lawrence wrote it some 60 years ago, but you’d swear it was yesterday. We hope you will take a moment and read it, maybe even aloud. 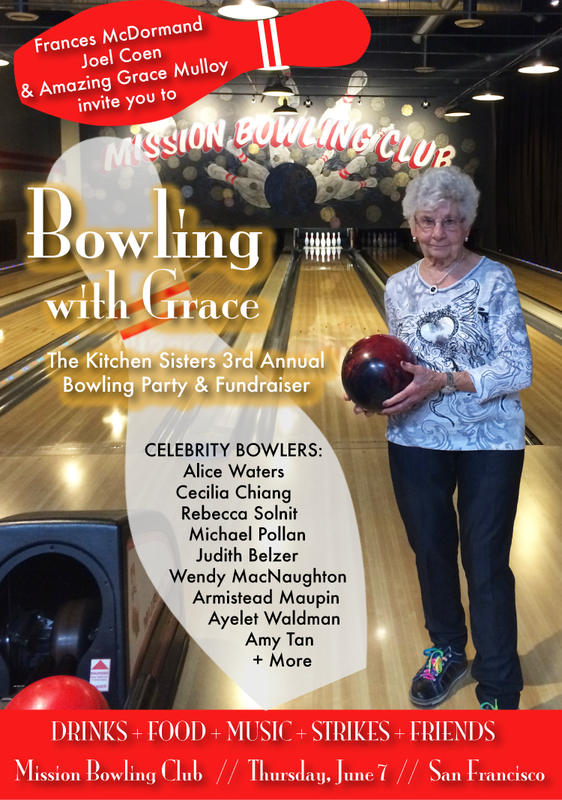 We hope to see lots of you at Mission Bowling Club in San Francisco on June 7th! 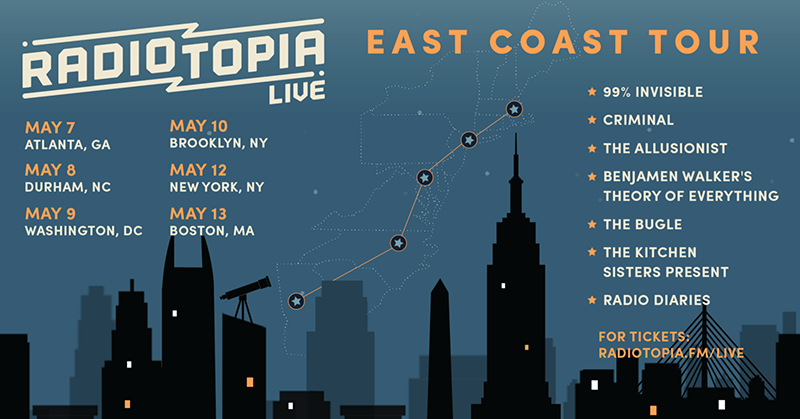 And hope to see the rest of you on the road on the Radiotopia Live Tour, May 7-13. Hale County, This Morning, This Evening, a quiet, moving documentary from the Black Belt of Alabama. The first film by RaMell Ross. Lyrical, evocative, intimate moments of people in a struggling community. 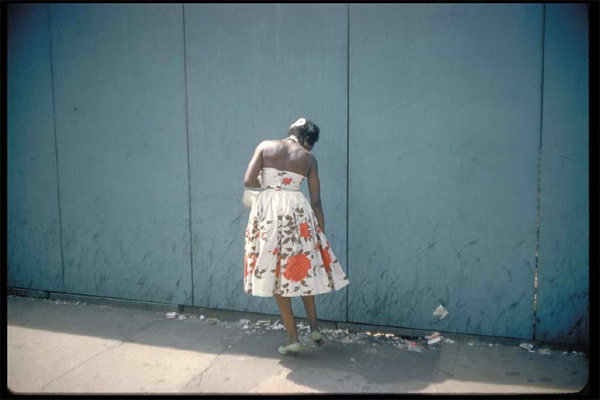 Garry Winogrand: All Things Are Photographable. The legendary street photographer Garry Winogrand left 10,000 rolls of undeveloped film when he died suddenly at age 56. 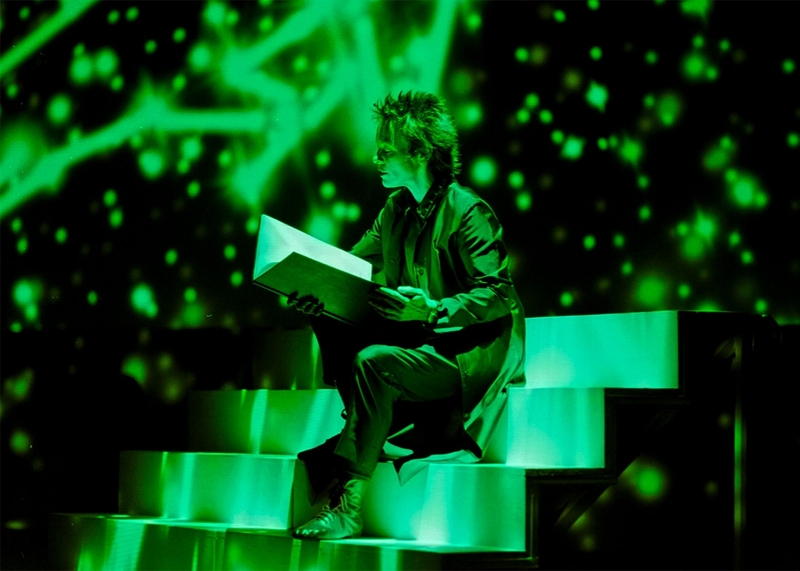 Director Sasha Waters Freyer dives deep into the life and art of this visionary. Three Tall Women, written by Edward Albee at John Golden Theatre. Glenda Jackson, Laurie Metcalf & Alison Pill, need we say more? “It was late October 2012 and Hurricane Sandy was coming up from the south. It began as a tropical wave in the western Caribbean and quickly morphed into the biggest Atlantic hurricane on record. I had rushed back to the city to be with Lou when it made landfall. We watched the storm as it blew in across the Hudson River. Then the black water rose up over the banks, crossed the highway and turned our street into a dark silky river. 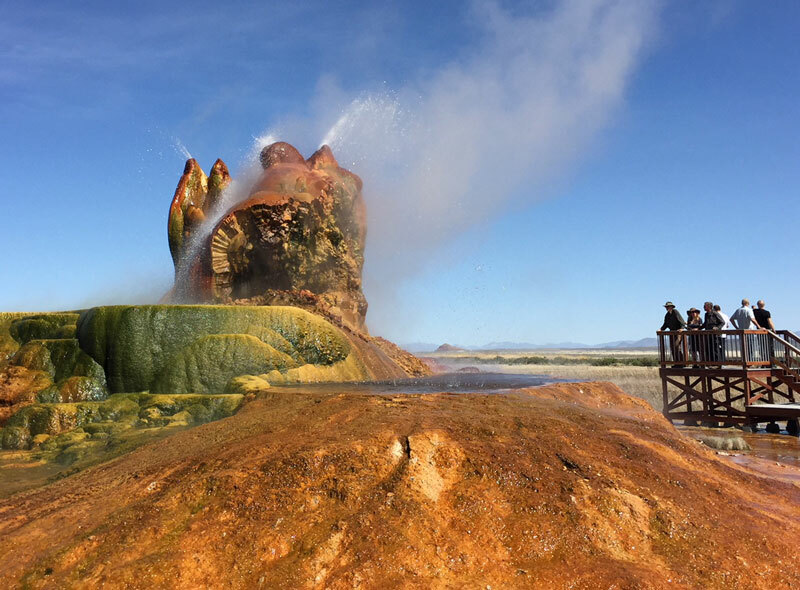 Fly Ranch, Nevada: In 2016, Larry Harvey and The Burning Man Project purchased 3,800 acres some 30 miles from where the annual Burning Man Festival takes place. Part of the vision behind the purchase is to expand the ten principles at the heart of Burning Man — civic responsibility, communal effort, gifting, immediacy, radical self-expression… On Saturday, Larry Harvey went to The Big Playa in the Sky. What a vision of ritual and community he inspired. “Larry Harvey, the guru-like driving force behind Burning Man, the globally celebrated anti-establishment, anti-consumerist festival that he and a friend began 32 years ago on a San Francisco beach, died on Saturday at a hospital in San Francisco. He was 70.” Read the New York Times obituary of this Nebraska born visionary. The outré scene of unrestrained revelry and cutting-edge art in Nevada’s Black Rock Desert comes to the Smithsonian. 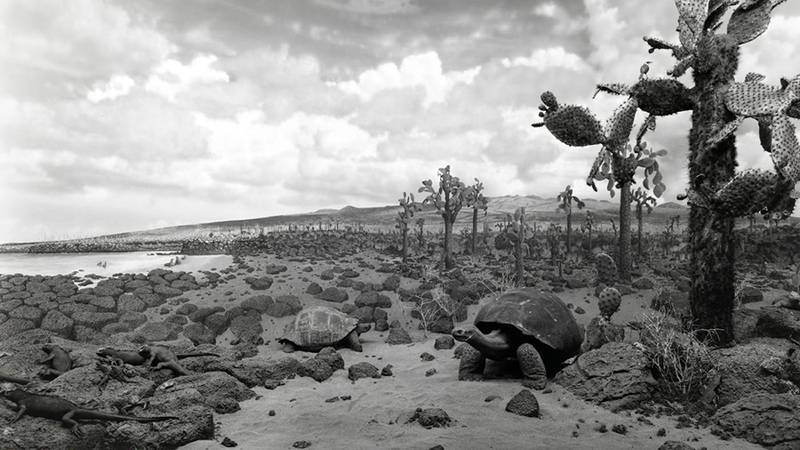 Hiroshi Sugimoto, B.C. at Fraenkel Gallery, SF. Just closed. Dang. But Janet Cardiff & George Bures Miller’s The Poetry Machine and Other Works opens Thursday, May 3. And you know we would walk on hot coals to hear/see their installations. 40 Motets was one powerful, exhilarating, haunting experience. Bowling with Grace: The Kitchen Sisters 3rd Annual Bowling Party and Fundraiser, Thursday, June 7, Mission Bowling Club, San Francisco. Come bowl or come hang with a whole new array of Celebrity Bowlers—Alice Waters, Cecilia Chiang, Rebecca Solnit, Michael Pollan, Judith Belzer, Wendy MacNaughton, Armistead Maupin, Ayelet Waldman, Amy Tan and more. Come for the shoes or come for the schmooze. All funds support our new series, The Keepers — stories of activist archivists, rogue librarians, collectors, curators, and historians — keepers of the culture and the cultures and collections they keep. 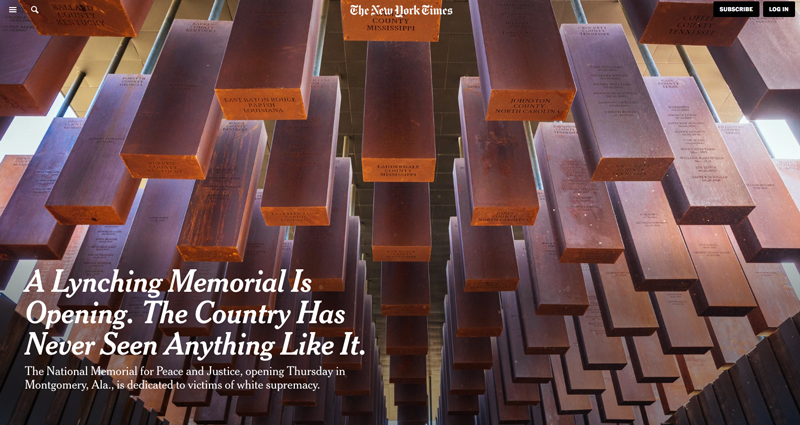 The Keepers premieres on NPR’s Morning Edition this June.